We spoke with David Denham about the upcoming Agile- Lean Ireland event. More infomation here. How many years has it been running? This is our 2nd year running the Agile-Lean Ireland conference. We were hugely proud of our 2017 event, which featured two of the best keynote speakers in the world, in #NoEstimates creator, Woody Zuill, and LeanKit CEO, Jon Terry. The standard of speakers was extremely high – we received over 70 applications to speak, from across the world, including from the U.S., Ireland, the U.K, Nepal and various parts of Europe. We’ve been running meetups as a community for almost 3 years now, and we’re really excited about making our 2018 event even better. We are simply a group of friends who started this because we are passionate about Lean and Agile, and wanted to contribute to creating a vibrant Agile-Lean community in Ireland. It started as a crazy experiment, off the back of a talk myself and my friend Rob gave at the Agile Tour at the time – the Agile community in Dublin was very small at the time. We came up with a “definition of awesome” – which was simply that if anyone showed up for that meetup, it would be a success! With another friend’s borrowed projector, and driving a couple of hours to pick up a screen, we were ready to go! It just took off from there, and thanks to the dedication of our volunteers and the support of the community, we now have almost 1,400 members in ALI. What exciting things can people look forward to this year? Our 2018 event is going to be amazing – we can’t say how excited we are to have the cream of the crop of international and Irish speakers with us. For example, we have Henrik Kniberg as our opening keynote, who is well-known for his work with Spotify and Lego as an Agile Coach, and he has given keynote talks across the world. Our closing keynote, Jeff Gothelf, is the author of the books “Lean UX” and “Sense & Respond”, and is a pioneer in the area of Product Discovery and UX in Agile environments. We’ll also welcome the founder of Agile Bear, Nigel Baker, CIO of Aviva, Fin Goulding, and many more speakers to be announced soon. These are just some of the things to look forward to – most importantly, this is a chance to to meet another like-minded people and share knowledge and experiences, and have some fun! We believe there won’t be another conference in 2018 with the diverse mix of topics and quality of speakers we have lined up. 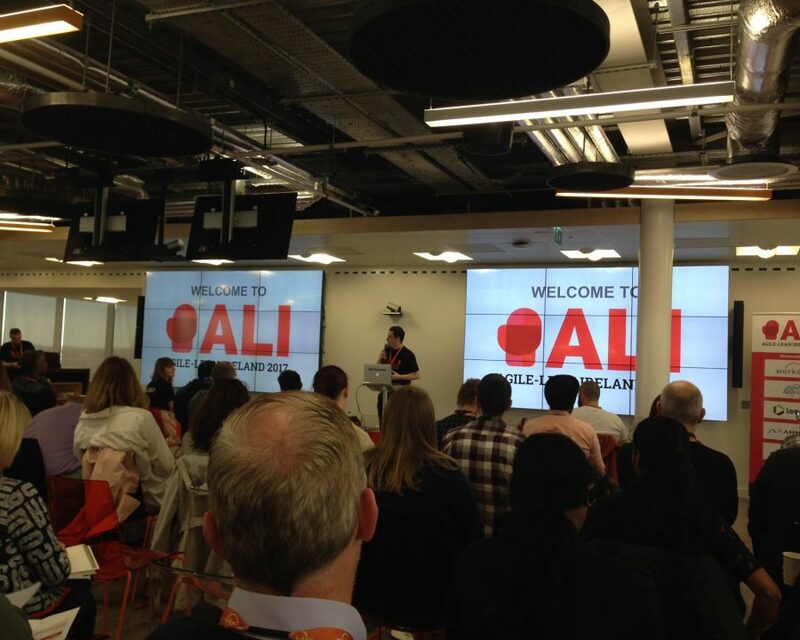 Quite simply, Croke Park will be the focal point of the Agile world on April 26th for ALI2018 – so for anyone attending, its a great chance to network with the best local and international agilists – the opportunities are endless. Come with a notepad, ready learn a lot, and to have fun! We will be doing an extensive peer review on our call for speakers, so the talks we have chosen are intended to be as practical as possible – with a view to maximising take-homes for our delegates. We’ll have a variety of regular talks, workshops, Open Space, lightning talks and networking sessions, so it’s a great opportunity to learn lots of different topics in different and hands-on ways. Tickets are on sale through our website – www.agileleanireland.org. We currently have an offer for early bird tickets, which are only €80. These tickets are selling fast, so we encourage everyone to avail of this offer. We believe Agile-Lean Ireland 2018 is going to be something special, and we’d love to see you there on the day.